At Bounds Law Group we believe that a strong relationship with fellow attorneys is our best business plan. We strive to provide valuable advice, expeditious service and quality representation to every client sent to us by our community of referring Counsel. At Bounds Law Group we pay referral fees to the extent allowed by the Florida Bar, Rules of Professional Conduct. We will also Co-Counsel with lawyers on cases throughout the State of Florida if a Co-Counsel relationship is desired as opposed to a straight referral. 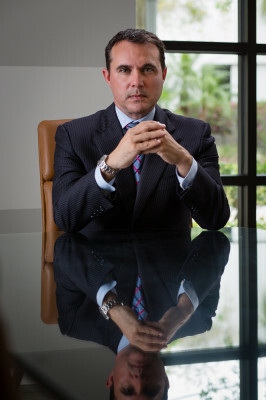 At Bounds Law Group we strive to keep referral counsel informed of the progress of the referred case and act to protect referral counsel’s brand, reputation and liability exposure by prompt client contact, courteous service, and thorough and comprehensive evaluation of every case referred to us. In short, when referring a case to our firm you do not have to worry about the quality of our client service or the quality of our representation. Once a case is referred, you will be kept apprised of our decisions to accept or reject the case for investigation and handling, and will likewise be fully informed of our progress through litigation. Upon completion of the case you will be asked to sign all applicable documentation to complete representation. In the event of a decision not to accept the case for handling we will refer the client back to you for alternate referral or will decline representation and include your firm in all declination documents. For more information about our Referral Partner Program, please contact us at 407-644-5151 or 877-644-5122. You may also email us at information@boundslawgroup.com.